Ava Rome can’t help everyone, but she tries. As a Private Investigator on the Hawaiian Island of Oahu, she takes the Law of the Splintered Paddle seriously and tries to live by it. According to the Honolulu Police Department website, the Law was “… decreed by Kamehameha I, circa 1782, to protect travelers from wanton attack” (http://www.honolulupd.org/department/index.php?page=ourbadge). When Jenny Mordan, a well-known working girl, seeks out Ava’s protection she doesn’t hesitate or judge her lifestyle even though she doesn’t necessarily agree with it. Jenny is being blackmailed by a cop who thinks he is above the law so Ava takes the case. Unfortunately, this cop has more going on than his underhanded dealings with Jenny. The deeper Ava gets into the case, she realizes that Jenny’s life is at stake and maybe her own. Enter a Goth want-to-be teenager of a former client. Cassie Sands needs a parent that is going to pay attention to her. Unfortunately, her father thinks she is just acting out. He calls upon Ava to help him with Cassie. Reluctantly she agrees, possibly because she sees a bit of her younger self in Cassie. While all of this is going on, Norman Traxler, a man Ava put in prison ten years ago while she was an MP in San Francisco is out and looking for Ava. This man is a killing machine that won’t stop until he teaches Ava a lesson about messing with the wrong person. He is watching and waiting to make her pay in a way that will hurt her more than death. Ava has a lot going on. She is trying to keep Jenny safe, Cassie on the straight and narrow and herself from being killed. The list of people out to get her is growing much faster than her bank account. Will making a trip to the mainland to confront ghosts in her past hurt or help her at this point? Ava needs to decide. 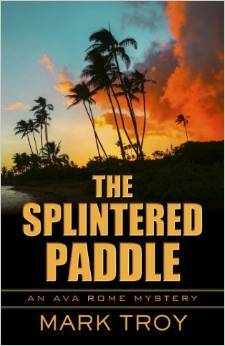 Fast paced and full of danger, The Splintered Paddle takes the reader to places in Hawaii most visitors will never see. There is a dark side to the Islands and Ava is in the eye of the storm. This novel isn’t all sinister; there are bits of humor – teaching a petulant teen how to drive is funny no matter how you slice it. And the bits of Hawaiian culture are interesting. I loved when the characters enjoy a lunch of Moco Loco; it looks and sounds nasty, but tastes fabulous! Troy does a great job blending the stories and solid believable characters with Hawaiian culture. Adding Ava’s past enriches the mix and pulls the readers closer to her, I’m keeping my fingers crossed for a sequel. 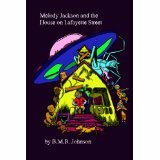 Book Review: Melody Jackson and the House on Lafayette Street – YA Sci Fi Gold! Johnson’s Melody Jackson novel is YA Sci Fi gold. 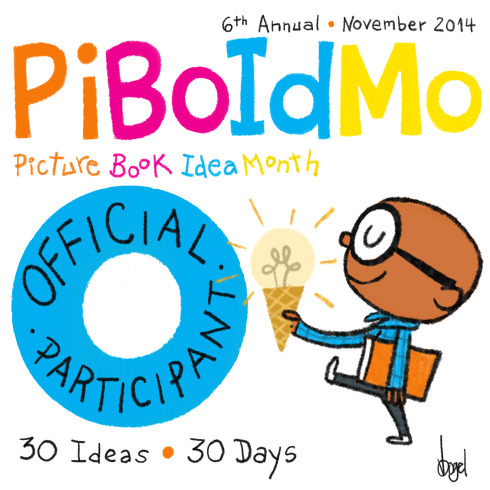 Snappy dialog and a solid storyline make this book a winner. Melody and her unlikely friend/accomplice in this adventure are thrust together by meddling mothers. Most, if not all teens and tweens can relate to meddling parents who mean well but totally miss the mark. Flutter’s mother and Melody’s mom were connected via a community college class, and when Flutter’s parents had to go out of town for the weekend, Melody’s mom saw a perfect (in her eyes) opportunity for Melody to spend less time alone and maybe have a friend. Strange things began to happen on the way home from the art class the girls shared. Given the task of fundraising, Flutter was all in. Melody could care less about the whole thing until Flutter approaches the house next to the Jackson’s where the creepy old man lives. This begins a chain of events that cannot be contained. The Jackson family is odd. Melody’s mom puts on a happy face, hiding secrets and her dad is paranoid and at times a bit disconnected from reality. All of this hinges on something in their past that Melody doesn’t know about, but soon will. Strangers begin to mill about the neighborhood, cats are missing and most disturbing, Melody’s dad becomes zombie-like and begins on a mission known only to him. Out of fear and curiosity combined with the strong pull of love and family loyalty, Melody, her mom and Flutter are in for the duration with him. The girls were vastly different, but the tension between them drove the story well. With all of the supernatural happenings and fear of the unknown the girls learn to work together and yet still don’t like each other very much.I don’t see them willingly hanging out at the mall together after this ordeal is over. This is much more likely than these two girls becoming best friends. In addition to the meddling mothers, there are everyday events that occur during the craziness of the unknown that are relevant and allow the reader to relate to the characters, bringing them to life. Personally, I loved the off brand toys that line Melody’s pristine room. This was a fun read. I’m looking forward to more of Johnson’s books. Tai Randolph is the owner of a gun shop in Atlanta that specializes in Civil War re-enactment relics along with run-of-the-mill firearms and ammo. Formerly owned by her Uncle Dexter, Tai has organized the inventory and has settled in, making the business profitable in the process. Her boyfriend, Trey Seaver, has beefed up security for the shop. As a corporate security agent, and former FBI agent, he is obsessed with keeping Tai safe. She finds his security measures equally aggravating and endearing, but thinks he has crossed the line due to problems he has had in the past, including an accident, that has left him with a brain injury. Tai admits the security is good to have around the shop as there have been several times her system has detected attempted breaches. She suspects the neighboring business owner, who is trying to run the gun shop out of business by any means possible, going as far as not allowing video surveillance in the alley because it is “her property”. 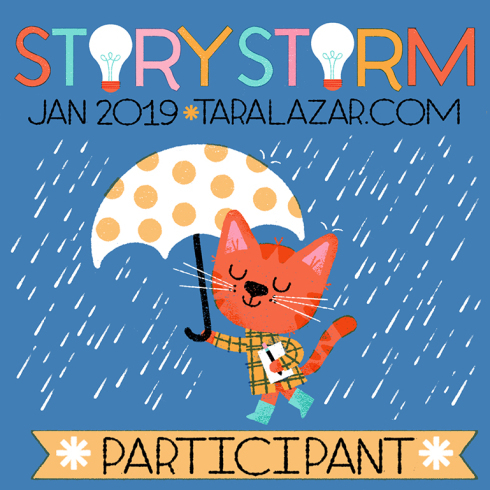 A storm is brewing, both figuratively and literally for Tai. A tornado rips through the area, causing untold damage to Kennesaw Mountain Cemetery, the final resting place for Braxton Amberdecker. The Civil War hero’s grave is damaged and his bones are missing. Tai and Trey are called upon to help locate them. When a skull is found by Tai, the search is called off, but the police are not happy. These remains cannot be those of Amberdecker, because a NASCAR belt buckle accompanies the bones. The police suspect Tai, who starts digging for the truth with Trey’s reluctant help. When her dead Uncle Dexter if pulled into the investigation, she really heats up her search for the true killer, putting herself in more danger than she has bargained for. 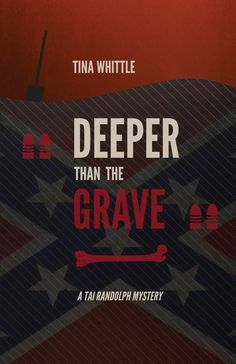 Deeper Than The Grave is Whittle’s fourth book in the Tai Randolph Mystery series. I love the plot twists and energy that made me read “just one more chapter” every time I tried to put this book down. Tai is like a crazy friend you love to spend time with and Trey is vulnerable, edgy, and unpredictable all bundled into a gorgeous package. The two main characters interact beautifully together. This is the first book I have read in the series. It worked as a stand-alone novel for me, but I hesitate to jump in with both feet saying it will work for everyone. Some questions remain unanswered as to what happened in the past with Trey’s accident as well as Tai and Trey’s relationship. This may bother some readers, but did not especially bother me. It is a solid, interesting story that leaves me wanting to know more, so I’ll go back and read the first two novels in this series to fill in the gaps. I looked at it as meeting someone new that was reluctant to share all of his or her past all at once, but as they became more comfortable, I learned more. The other really great thing about this book is the last few pages of Author’s Notes. 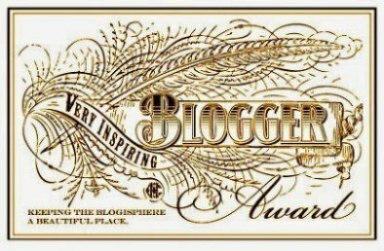 Whittle shares her Pinterest name (tinawh) where you can see her boards about the Civil War, Tai and Trey, Deeper Than the Grave Research and much more. If you are on Pinterest, I highly recommend searching her out to add another layer of interest to reading her books. Copyright © 2014 Laura Hartman DISCLOSURE OF MATERIAL CONNECTION: I have a material connection because I received a review copy that I can keep for consideration in preparing to write this content. I was not expected to return this item after my review. Book Review: Desert Rage by Betty Webb – I can’t wait to read the rest of her books! Private Investigator Lena Jones is summoned to the home of a powerful, demanding Congresswoman Juliana Thorsson. Lena is willing to meet with her, but remains skeptical that she could stand this ambitious woman long enough to work the case no matter what it is. That is until she hears the details of the job Thorsson needs done. A 14-year-old girl and her boyfriend have admitted that they brutally murdered the girl’s family. Her father, mother and 10-year-old brother were slain while eating lunch in their expensive Scottsdale home. After confessing to the crime, both teens have refused to talk to anyone and are being held in juvie with public defenders working their cases. The Congresswoman wants to hire Lena to find evidence to clear Alison, the 14-year-old murderer. She is convinced that Ali has only confessed to keep Kyle out of prison. Thorsson insists that Kyle worked alone to murder Ali’s family. The killer even attacked Alison’s small dog, almost killing him. She insists Ali would never hurt her dog or her family. Lena is intrigued, but wary of working for Thorsson. She rolls scenarios around in her head trying to find a logical connection between a young girl and this very public woman that is in the middle of a run for a seat in the U.S. Senate. Unable to walk away from a case where at least one, if not both teens might be incarcerated or put to death, Lena agrees to work for Thorsson. The P.I. immerses herself in the case and soon believes they are both innocent. She is convinced Ali and Kyle are lying. The evidence just does not add up. But if the teens are innocent, that means a brutal killer is still on the loose. What possible motive would someone have to murder a prominent doctor, his wife and young son? As the investigation heats up, Lena finds everyone except the young son and dog are harboring secrets. Any one of these lies and indiscretions could have led someone to murder. As Lena gets closer to the truth, she becomes a target. Someone is out to get her, could it be a pumped up chick she infuriated or maybe the real killer of Alison’s family. With the help of her old partner, a snarky police officer and Thorsson calling in favors Lena moves closer to the truth. Her investigation takes her down a twisted trail turning up more suspects, any one of them have means and convincing motives. Desert Rage is excellent on so many levels I do not know where to start. Webb paints a vivid picture of life in the hot desert of Arizona. Her characters came alive on the page. My heart broke for Kyle, a good kid living with a foster family because his family can no longer take care of him. Lena’s past as part of the foster system tethers her tighter to the case. Webb gives little tidbits of information regarding the area. She explains little known facts that tie directly to the plot. It is interesting and enriches the plot to pull the reader in even further. The end has a totally unexpected twist. I love when an author masterfully uses her craft to make me gasp. 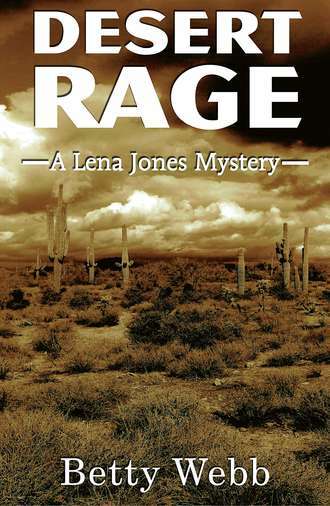 This is the eighth book in the Lena Jones Mystery series, and the first one I have read, and it works very well as a stand-alone novel. I am appalled that I somehow missed Betty Webb’s previous books when looking for a new favorite writer to add to my list. She also writes the Gunn Zoo Mystery Series which I need to seek out. How can you not love books with titles like The Koala of Death? I am looking forward to reading many more of Betty Webb’s books. Jonathan Stiles could be any 14 year old until his first day of ninth grade. Some kids love school, are excited to be back with old friends and meet new friends. 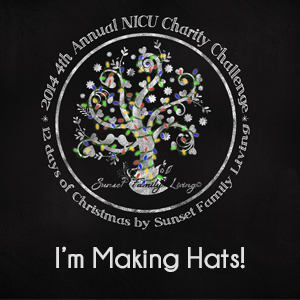 He is not that kid, and the anxiety he feels is only the tip of the iceberg in Jonathan’s life. His first day includes police tape blocking the path to the dead body of his older brother Ryan. Jonathan is now on his own at the religious school his divorced parents chose for the boys in response to their atheism. His skepticism and disdain for any organized religion becomes his armor, shielding him from the pain of his brother’s death, much to the chagrin of his parents and teachers. Ryan and Jonathan began a religious journey, to try to find a religion or a God that they could prove was real. Now that Ryan is dead, his brother believes that death is the end, but on some level it really bothers him. An unlikely friendship develops with a stranger Jonathan meets as he was leaving the scene of his brother’s death. Jesus Jackson is on the football field, dressed in a white linen leisure suit, offering to help Jonathan. Jackson looks surprisingly like Jesus Christ and seems to say just what Jonathan needs to hear by proposing two ideas. The first is a guarantee that he will find an answer to Jonathan’s doubts about his faith by serving up the perfect belief for him. Then he implies that Ryan’s death was murder, not an accident, and urges Jonathan to find his brother’s killer. Henry, Jonathan’s only friend at school agrees to help him do a bit of sleuthing. Unfortunately, it involves stalking and trying to gather clues to take to the police from Alistair, the jock they suspect had something to do with Ryan’s death,. As the boys try to get close to him, they realize it might be impossible to collect any evidence proving Alistair’s guilt. No matter the cost, Jonathan is determined to bring Ryan’s killer to justice. As if Jonathan doesn’t have an overflowing plate of worries, the females in his life are creating complications and distractions. His mother is acting “normal” by cleaning, cooking and keeping a fake smile on her face instead of dealing with her son’s death. Ryan’s girlfriend is useful to Henry and Jonathan’s quest to prove Alistair’s guilt, but she is grieving more than anyone in Jonathan’s home and he has trouble dealing with her. Then there is Cassie. She has fallen for Jonathan, but he doesn’t have the time or energy for a girlfriend – until he finds out she is Alistair’s sister. This book is brilliant. The themes could make the story heavy, but the book is not. There is underlying tension with the amateur investigation the boys are conducting as well as the quest to find something for Jonathan to believe in. Humor lightens the crazy events of Jonathan’s world giving the reader and the characters a breather. Daley has written a touching, thought provoking story with characters that come to life as the plot unfolds. They are easy to relate to and identify with. 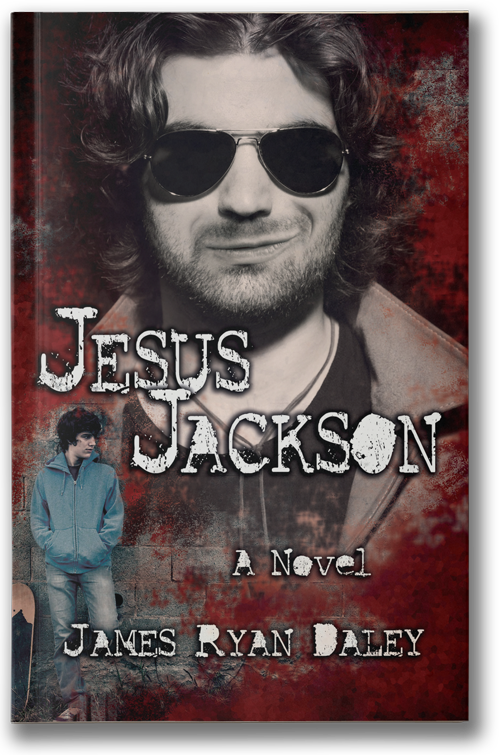 Jesus Jackson is written for Young Adults, but I recommend it for adults also. The thought provoking plot moves quickly, but makes the reader think long after reading it. It would be the perfect choice for a book club as it naturally leads the reader down many paths of discussion. I am waiting impatiently for a second novel from this talented wordsmith. Death Takes A Mistress begins in Bath, England, 1982. A young, single mother is brutally murdered in her apartment, presumably by her married lover. Luckily her infant daughter Ivy was with a neighbor at the time. 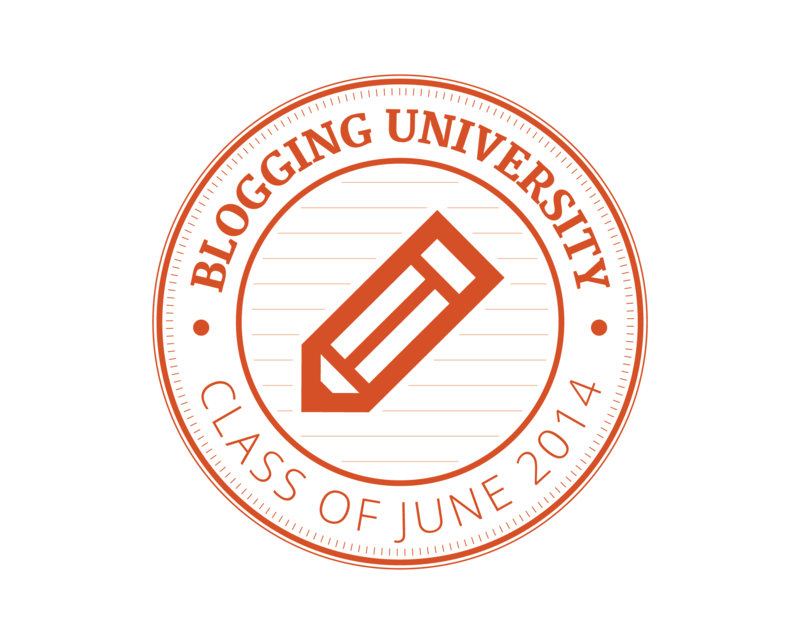 The case soon grew cold, everyone except Ivy let the memory of that awful day slip away. Fast forward to 2005.Ivy Cohen was raised by the neighbor that her mother left her with many years ago. Happy and loved, Ivy is a well-adjusted college graduate with a mission. She is determined to find her father – the man who murdered her mother. The only clues she has to go by are old police reports, her mother’s journal and a box from an Annapolis store that was left at the crime scene. Ivy heads for Virginia with more courage and determination than money. She quickly finds a job as a clerk at The Olde Victorian Bookstore working for Dan and Rivka Sherman. The job is a perfect fit. She quickly finds the Sherman’s intrigued with her story and quest to find her father. They have a connection to Scotland Yard and the couple quickly agrees to help Ivy obtain a copy of her mother’s diary. Once it arrives, Ivy discovers that her father probably belongs to one of four families. Impatiently, she stirs the hornet’s nest of possible relatives by announcing her plans to find the person that murdered her mother. Her plan works. Someone attacks her to get to the diary, and that is just the beginning of the events leading towards the end of her quest – or maybe even her life. 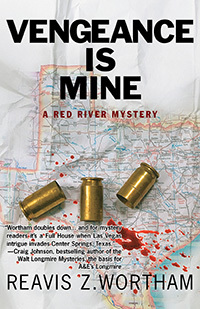 This is the second in the Mild’s Dan & Rivka Sherman Mystery Series. It reads fine as a stand-alone novel, with just enough references to the first book in the series (Death Goes Postal) to pique my interest but not give away the plot. Death Takes A Mistress is a delightfully twisted tale of intrigue. Every time I thought I knew who the killer was, a plot twist would make me second-guess my conclusion. I didn’t know for sure until the final chapters, which makes the mystery lover in me very happy. The characters were fun and believable. Even secondary characters like the woman who rents Ivy a room have personalities that made me connect with them. The bad boys that weren’t all bad and the good boys who are actually bad are exceedingly well done and true-to-life. 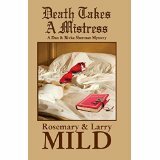 I am looking forward to reading more books by the Mild’s.